I am pretty excited for AoWD, I a huge AoW MMO fan. I used to play until the servers died, but a mobile platform might be able to revive interest in the game. On my server, Black Tortoise, I was one of the the guild leaders of Deity with JadeFrost. I have extensive knowledge of the MMO version, and put many hundreds of hours into it. I was the Royal Guards Grandmaster for 5-6 months straight until I stopped playing. Please consider me for the BETA and also as a moderator if help is needed. Last edited by Stellvia on Tue Nov 10, 2015 12:21 am, edited 2 times in total. Aaaah the aard/HuaXia times, I can certainly recall those so many old and popular names aswell like Nightwolf and Helen; anyways, hope they recognise you, see you in game! RandomN00b wrote: Aaaah the aard/HuaXia times, I can certainly recall those so many old and popular names aswell like Nightwolf and Helen; anyways, hope they recognise you, see you in game! Someone who knows about us Yea man those were the days, was a lot of fun. I really missed the game. I am pretty excited for AoWD, I a huge AoW MMO fan. I used to play until the servers died, but a mobile platform might be able to revive interest in the game. 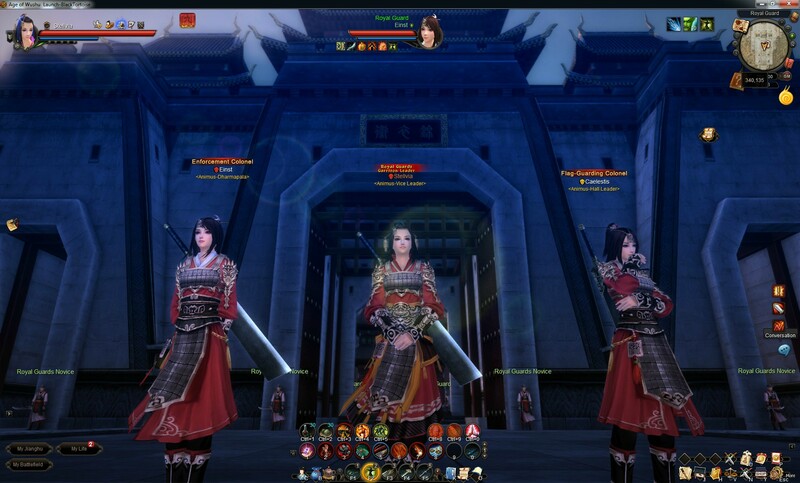 On my server, Black Tortoise, I was one of the the guild leaders of Dynasty with JadeFrost. I have extensive knowledge of the MMO version, and put many hundreds of hours into it. I was the Royal Guards Grandmaster for 4 months straight until I stopped playing. Please consider me for the BETA and aslo as a moderator if help is needed. Glad to have you back in Jianghu! We'll keep you in mind for Moderator, atm not necessary but always good to know we have avid fans! Beta test is coming soon. The best way you can secure your spot is to Subscribe on our website, that'll get you onto the email list for the test. Website Link. We'll also be holding forum Check-in events soon, and we'll give priority spots to those who participate, so stay tuned for that! Do we need to play Age of Wushu in PC version to be consider in beta? Unfair to those who wants to test this game "just like me" -Jamie Foxx ft. T.I. 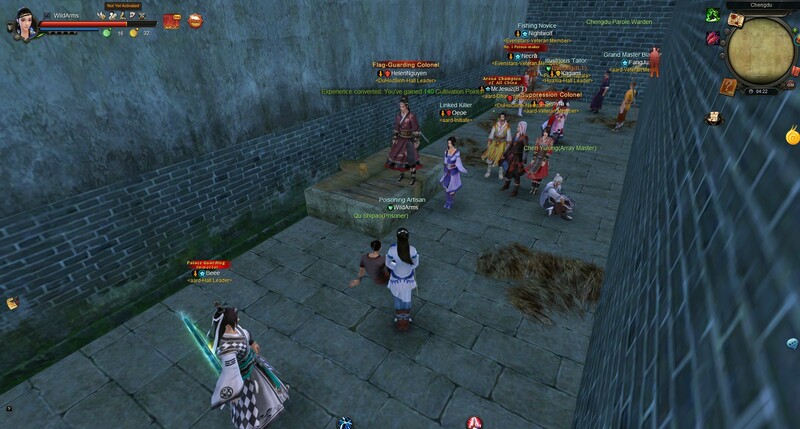 Protomalt wrote: Do we need to play Age of Wushu in PC version to be consider in beta? Unfair to those who wants to test this game "just like me" -Jamie Foxx ft. T.I. Hi Protomalt. No playing the PC version does not give you a higher chance of getting into the beta, all invites are pulled from the same subscriber list posted above. Hey Stell. Dont know if you remember me but I was your guildy in aow, in game name GENE. Have you been playing the china beta? Crazy fun. Hope Deity has it's presence in dynasty. swampboi wrote: Hey Stell. Dont know if you remember me but I was your guildy in aow, in game name GENE. Have you been playing the china beta? Crazy fun. Hope Deity has it's presence in dynasty. Haha yea I remember you. I actually downloaded the pc version to see if any of our old guildies will be playing mobile version. I will be starting a clan for the mobile version you are welcome to join, I made a thread in the guild section of forums if you want to post something there. Good to see you, and yes I hope Deity will make a presence. I can't decide if I want to name the guild after my Taichi Panda guild, Midnight Reveries cause we are getting our name known, or use an established name like Deity. I'll have to message Jadefrost to get permission to use the name. Cool. Either way Im rocking with you, you always strong. Good luck on moderator spot. Seeya in game.